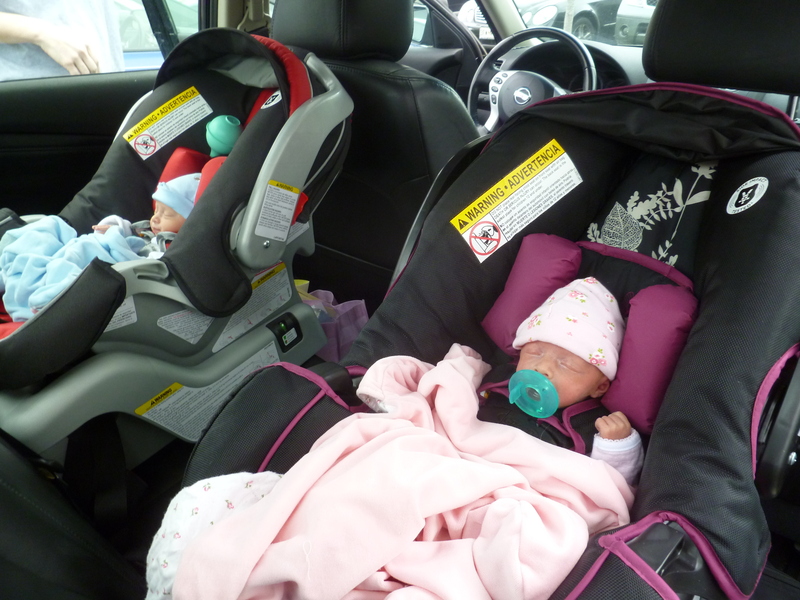 The Dreaded “I Think We Need A Bigger Car” Conversation | Hold On Daddy's Coming! Dudes, be warned. If your pregnant wife drives a car that seats less than 8 grown men, then you need to know this: she won’t be driving it for long. Like I’ve said before, women are sneaky. Chances are your wife has been scheming to acquire a nicer vehicle for months (pretty much rule #1 about women is that they like new things…even when the older thing is still perfectly good). This is her golden opportunity. The thing is, she could fit it all in there if she really wanted to. Oh, and she knows it too. Here’s proof: when my wife and I go on vacations, I am continually amazed by the amount of things she can fit into one suitcase. A month’s worth of clothes? Packed! Games? Packed! Seven books that most definitely won’t be read? Packed! Sometimes my wife will literally stand on top of the suitcase and pull the zipper shut to accomodate excess luggage. I think this is something she stragely enjoys doing. So now it’s 4 to 1 in my wife’s favor: that “old” Nissan Altima (a 2008!) is wholly inadequate. Note: it doesn’t help that every other mother on the planet also has an SUV and likes to talk nonstop about how much happier they now are with one. So thanks for that, other moms. Here’s the beauty of all this: it’s not for your wife…it’s for the child! I mean, come on dad. You wouldn’t want to put your child in danger, would you? You don’t want your child to die because you were too stingy to buy a fully-loaded Lincoln Navigator, do you? Men: I don’t know when it happens, but at some point women realize that child safety is the ultimate trump card. It gives them carte blanche to buy ridiculous things like organic baby clothes, booster seats with multiple cup holders, and $500 pieces of wood (er, cribs). Yep, “child safety” is a winner and your wife knows it. And she isn’t done using it against you (stay tuned, its coming…). So. We’re looking for cars. But now I have something far different in mind than my wife. Maybe a gently-used minivan? Ya right! She doesn’t want to look like her mom did 20 years ago; she wants to look like a baller. So even though the minivan would seem to fit her criteria (bigger and safer), we spend 100% of our car search in the SUV department. This is when I suddenly became an environmentalist. “These cars only get 13 or 14 miles to the gallon! That’s horrible for the…ecosystem.” It was a good try, but this tactic was totally futile. Apparently small to mid-size SUVs just aren’t big enough for our family; only something resembling a yacht would do. Besides, this is America and we do what we want. So let’s just move on. Once youre finally on the fence about whether or not to get her the car she wants (and has been secretly eyeing for about 7 months), she has one last trick up her sleeve: the good husband routine (aka Phase Four). She will tell you about how hard it’s been adjusting to caring for a child day and night, and that this is what she needs. Translation: be a good husband and buy your wife this car. Game. Set. Match. Enjoy those car payments, gentlemen. Duh! I have an escape and its BARELY big enough for our family of mom/dad +dog. Imagine how cramped it would be with babies? You need at least an explorer equivalent if not bigger. Expedition is the route we went…of course we have 6 children, so the “bigger car” argument was a no brainer! Six children definitely qualifies you for a big ol expedition! I have 114470 miles on my 2001 Lexus GS and no one can make me get rid of it. Not my husband, 3 girls (one teenager, one 8 yr old, one booster seat) or the dog. We frequently road trip together in it. Luggage included. Good luck with your gas bills, Jim. I think you are definitely in the minority. But thats impressive!